These 3D Glasses bring you the power of spectacular, cinema quality 3D images in the comfort at home.these lightweight wrap around 3D glasses are affordable enough to outfit the entire family, even friends - perfect for 3D sporting, movie or concert events, with new higher quality lenses than standard 3D glasses. 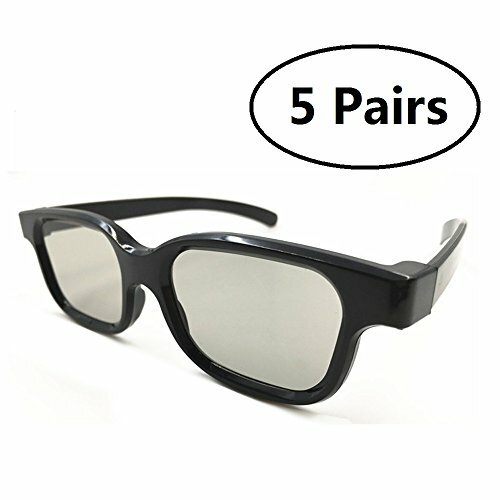 Universal passive glasses that will work with all passive 3D Tvs including LG, Toshiba, Sony, Technika, Cello, Vizio, Sanyo, Finlux, Grundig, Panasonic, JVC, Phillips, Samsung, Bush screens. ❤Works perfectly with all reald passive 3D Televisions - SONY, Panasonic, Vizio, Toshiba, LG, Philips and JVC. RealD Matched to work in home or traditional theaters! If you have any questions about this product by wild girls, contact us by completing and submitting the form below. If you are looking for a specif part number, please include it with your message.